Joe Nemechek picked up the 33rd last-place finish of his NASCAR Sprint Cup Series career in Sunday’s STP 500 at the Martinsville Speedway when his #66 Land Castle Title Toyota was involved in a single-car accident on Lap 315, ending his race after 310 of the race’s 500 laps. The finish is Nemechek’s first last-place finish of the season and his first since last August at Bristol, eighteen races ago. After six Cup Series races, we not only have six different winners, but six different last-place finishers. 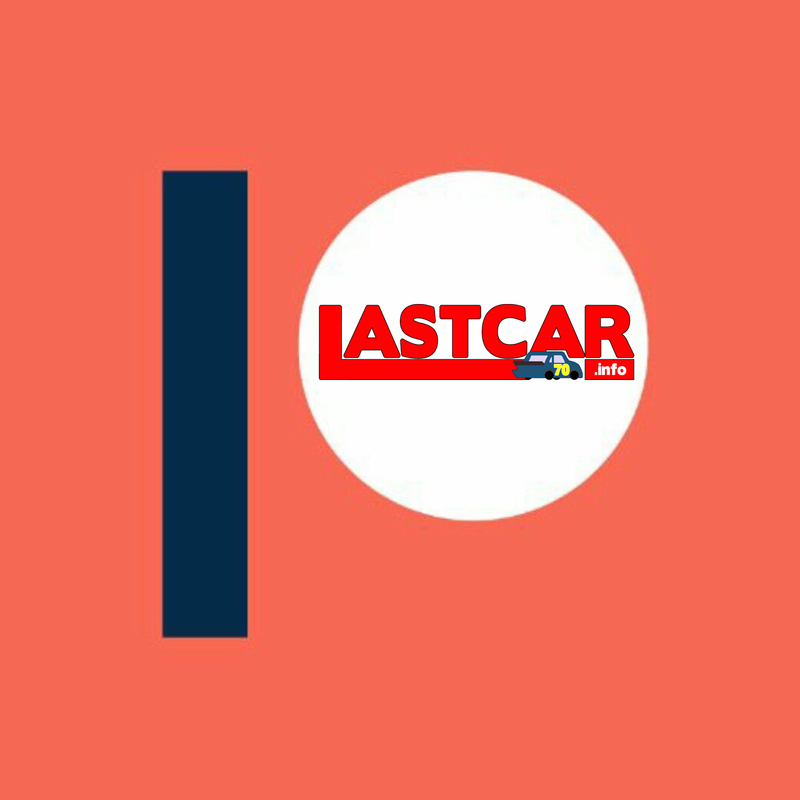 It’s the most competitive start to the LASTCAR season since 2012, when eight different drivers finished last in the first eight races. There is also a tie in the 2014 LASTCAR Manufacturer’s Championship as Chevrolet, Ford, and Toyota have all finished last on two occasions. With the finish, Nemechek now holds the record for the most last-place finishes in the history of the Sprint Cup Series. 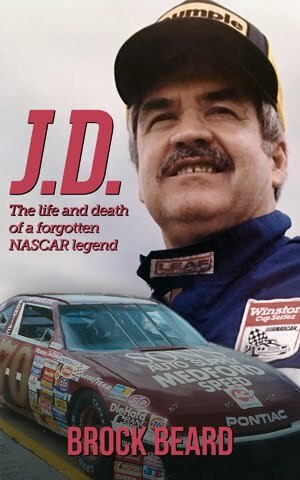 From last August until Sunday, Nemechek had shared the record with the late J.D. McDuffie, who had held the record since his 20th finish on September 7, 1980. McDuffie scored his 32nd and final last-place finish in his 27th season during his 653rd Cup start, following his tragic fifth-lap accident at Watkins Glen on August 11, 1991. Nemechek broke McDuffie’s record in just 22 seasons, coming in his 655th start. Nemechek’s 2014 season sees the veteran in a technical alliance between his NEMCO Motorsports team, already merged with Jay Robinson Racing, and Michael Waltrip Racing. 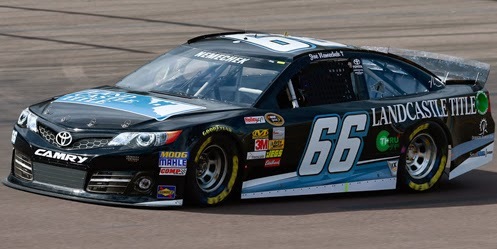 MWR allied itself with Nemechek so the veteran could help keep the #66 team running the whole season. Other than Waltrip’s run in the Daytona 500 and Jeff Burton’s at Las Vegas, Nemechek has run the #66 in place of his familiar #87, though with his own NEMCO-JRR equipment. 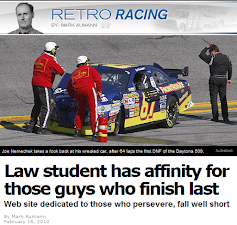 Prior to Sunday, Nemechek’s best finish came last Sunday at Fontana, where he finished 32nd. Friday at Martinsville, Nemechek was the second-slowest car in the weekend’s only practice session, turning in a lap just two tenths faster than 44th-ranked Michael Annett. Locked-into the race already, Nemechek secured the 43rd starting spot with a lap of 96.332 mph, the slowest lap of the session. The race was barely 10 seconds old when Parker Kligerman’s crash-marred rookie season continued with an opening-lap crash. Several cars checked-up entering the third corner, and Kligerman’s #30 Swan Energy Toyota slammed the rear of another car, then the sand barrels at the entrance to pit road. Kligerman went behind the wall without completing a single lap. He did not return until Lap 83, minus most of the car’s sheetmetal. Kligerman remained 43rd for most of the race while several cars, including Nemechek’s, lost laps to the leaders. Then, on Lap 200, Dale Earnhardt, Jr. spun Jamie McMurray into the outside wall, causing severe damage to the rear of McMurray’s Chevrolet. With the 42 other cars still running at that moment, McMurray slipped down to 42nd by Lap 256, then behind Kligerman for 43rd on Lap 288. McMurray returned to the track on Lap 303. However, now more than eighty laps behind the leaders, it appeared the Missouri driver would score just the second last-place finish of his Cup career and his first since 2008. Then, on Lap 315, Joe Nemechek lost his brakes and backed hard into the Turn 4 wall, bringing out the tenth caution of the afternoon. Five laps down at the time, Nemechek was already near the Bottom Five, and the car was damaged severe enough to make him the first retiree of the race. With so many cars running several laps down at that point, his #66 didn’t fall to 43rd until Lap 415. McMurray and Kligerman remained 42nd and 41st, both of them still under power at the checkers. Joining Nemechek, McMurray, and Kligerman in the Bottom Five were Ricky Stenhouse, Jr., who smacked the Turn 2 wall on Lap 103, then spent several laps behind the wall in the closing stages, and David Stremme, whose first start of 2014 in the Circle Sport #33 was marred by early nose damage and his own extended stay in the garage area. The only other retiree besides Nemechek was Michael McDowell, who on Friday squeezed his #95 Triangle Office Equipment Ford into the race, but on Sunday lost his brakes after he completed 474 laps, leaving him 37th. *This is the first last-place finish for the #66 in a Cup race at Martinsville since October 20, 2002, when Japanese driver Hideo Fukuyama and his Standing Together / World Berries Ford fell out with crash damage after he completed 400 of the 500 laps of the Old Dominion 500. Curiously, the winner of that race was Sunday’s winner Kurt Busch, his only other victory at the Virginia short track. *This is Nemechek’s first last-place finish in a Cup race at Martinsville since April 3, 2011, when his #87 AM FM Energy / Pellet & Wood Stoves Toyota fell out with brake problems after he completed 25 of the race’s 500 laps. *Nemechek’s 310 laps are the most completed by a Martinsville last-place finisher since March 30, 2008, when Dave Blaney’s #22 Caterpillar Toyota fell out with engine trouble after 374 laps. Nemechek's sponsor, "Land Castle" reminded me of the great Neil "Soapy" Castles. I thought Joe's paint scheme might be a tribute to Castles. 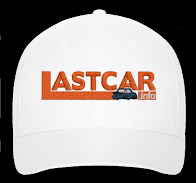 So where is Soapy Castles on the all-time LASTCAR list? Was I right to think "tribute"? I was thinking more Landon Cassill myself. Very cool for you to think of Castles - he's tied for 12th in the all-time LASTCAR standings with Ward Burton, Junior Johnson, Kyle Petty, Tony Raines - 16 finishes apiece.